Pump up your kicks with the high fashion style of these Tabitha Simmons Sandals. Suede leather upper. Slender straps in lace-up style front closure with gold-tone connectors up through vamp. Slip-on design. Open-toe silhouette. Smooth leather lining. Lightly padded leather footbed with embossed logo. Wrapped high heel. Durable and smooth leather sole. Made in Italy. This item may ship with an attached security tag. Merchandise returned without the original security tag attached or a damaged tag may not qualify for a refund. Measurements: Heel Height: 3 3 4 in Weight: 8 oz Product measurements were taken using size 37.5 (US Women~s 7.5), width B - Medium. Please note that measurements may vary by size. Weight of footwear is based on a single item, not a pair. 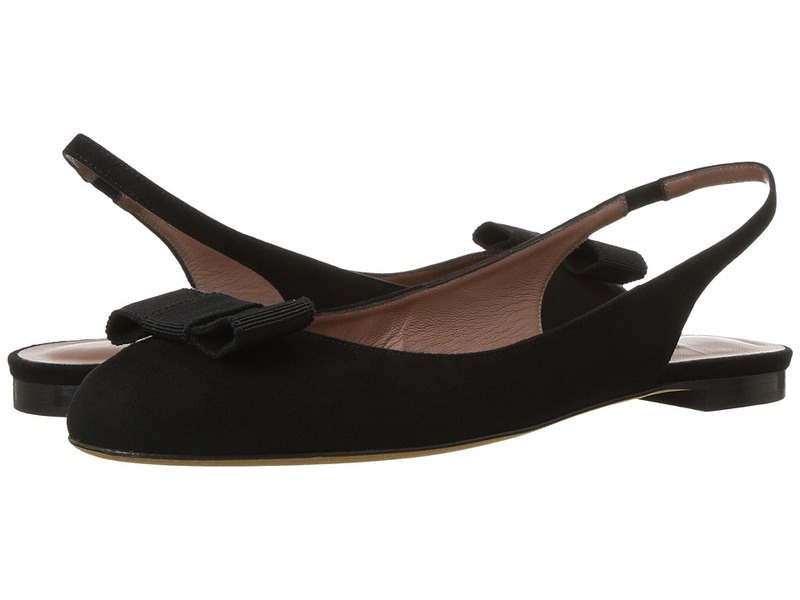 Your fashion sense will leave no room for doubt in these Tabitha Simmons Ingrid Flats. Smooth leather upper with tonal stitching. Slip-on design with elastic slingback-style ankle strap. Round-toe silhouette with pretty bow decoration featured in front. Soft leather lining. Lightly padded leather footbed with brand logo patch. Low square heel. Smooth leather sole. Made in Italy. This item may ship with an attached security tag. Merchandise returned without the original security tag attached or a damaged tag may not qualify for a refund. Measurements: Heel Height: 3 4 in Weight: 6 oz Product measurements were taken using size 38.5 (US Women~s 8.5), width B - Medium. Please note that measurements may vary by size. Weight of footwear is based on a single item, not a pair. Keep your look pristine for any occasion with the Tabitha Simmons Leticia Perf Sandal. Suede leather upper. Halo style ankle strap with adjustable buckle closure in scalloped detail and decorative cut-out designs. Slip-on construction. Open-toe silhouette decorated with scalloped style strap with decorative cut-out designs across the toes. Smooth leather lining. Lightly padded leather footbed with embossed logo. Wrapped block heel. Leather outsole. Made in Italy. This item may ship with an attached security tag. Merchandise returned without the original security tag attached or a damaged tag may not qualify for a refund. Measurements: Heel Height: 3 in Weight: 8 oz Product measurements were taken using size 38 (US Women~s 8), width B - Medium. Please note that measurements may vary by size. Weight of footwear is based on a single item, not a pair. Keep your look pristine for any occasion with the Tabitha Simmons Harlow Sandal. Leather upper. Halo style ankle strap with adjustable buckle closure in scalloped detail and eye-catching cut-out designs. Slip-on construction. Open-toe silhouette decorated with scalloped style strap with decorative cut-out designs across the toes. Smooth leather lining. Lightly padded leather footbed with embossed logo. Wrapped block heel and platform. Leather outsole. Made in Italy. This item may ship with an attached security tag. Merchandise returned without the original security tag attached or a damaged tag may not qualify for a refund. Measurements: Heel Height: 4 3 4 in Weight: 14 oz Platform Height: 1 1 2 in Product measurements were taken using size 39 (US Women~s 9), width B - Medium. Please note that measurements may vary by size. Weight of footwear is based on a single item, not a pair. 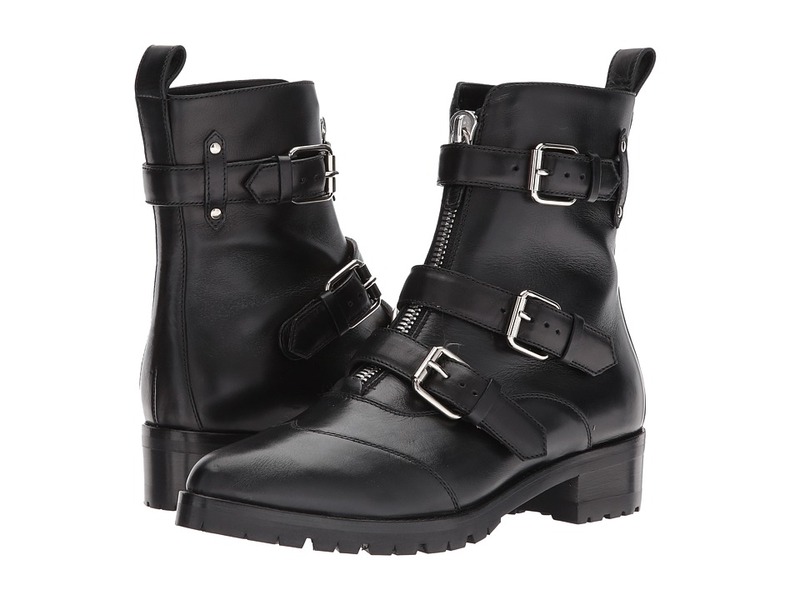 Take command of your style wearing the Tabitha Simmons Alex Boots. Leather upper. Pull-on construction with pull-tab in back and centered zipper closure up through vamp. Pointed-toe silhouette. Multiple adjustable leather straps with buckle hardware closure. Smooth leather lining. Lightly padded leather insole. Stacked heel. Textured and durable synthetic outsole. Made in Italy. This item may ship with an attached security tag. Merchandise returned without the original security tag attached or a damaged tag may not qualify for a refund. Measurements: Weight: 1 lb 3 oz Shaft: 7 in Product measurements were taken using size 38 (US Women~s 8), width B - Medium. Please note that measurements may vary by size. Weight of footwear is based on a single item, not a pair. Keep it cutting edge and casual with the effortless look of the Kiki Boot from Tabitha Simmons. Rich leather upper. Elastic side goring for easy on-and-off. Pull-on construction. Pointed-toe silhouette. Smooth leather and textile lining. Lightly padded leather insole. Wrapped chunky heel. Smooth yet durable leather outsole. Made in Italy. This item may ship with an attached security tag. Merchandise returned without the original security tag attached or a damaged tag may not qualify for a refund. Measurements: Heel Height: 2 3 4 in Weight: 10 oz Circumference: 10 in Shaft: 6 in Product measurements were taken using size 39 (US Women~s 9), width B - Medium. Please note that measurements may vary by size. Weight of footwear is based on a single item, not a pair. 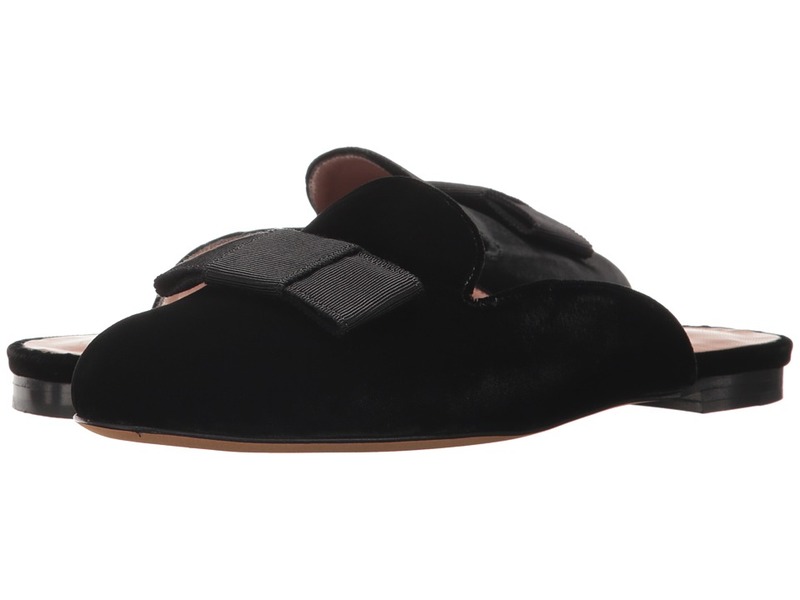 Your fashion sense will leave no room for doubt in these Tabitha Simmons Masha Flats. Leather and textile upper. Slip-on design. Playful animal print for added allure adorned throughout. Round-toe silhouette bow accent. Soft leather lining. Lightly padded leather footbed with brand logo patch. Low square heel. Smooth leather sole. Made in Italy. This item may ship with an attached security tag. Merchandise returned without the original security tag attached or a damaged tag may not qualify for a refund. Measurements: Heel Height: 3 4 in Weight: 6 oz Product measurements were taken using size 37.5 (US Women~s 7.5), width B - Medium. Please note that measurements may vary by size. Weight of footwear is based on a single item, not a pair. Keep it cutting edge and casual with the effortless look of the Shadow Boot from Tabitha Simmons. 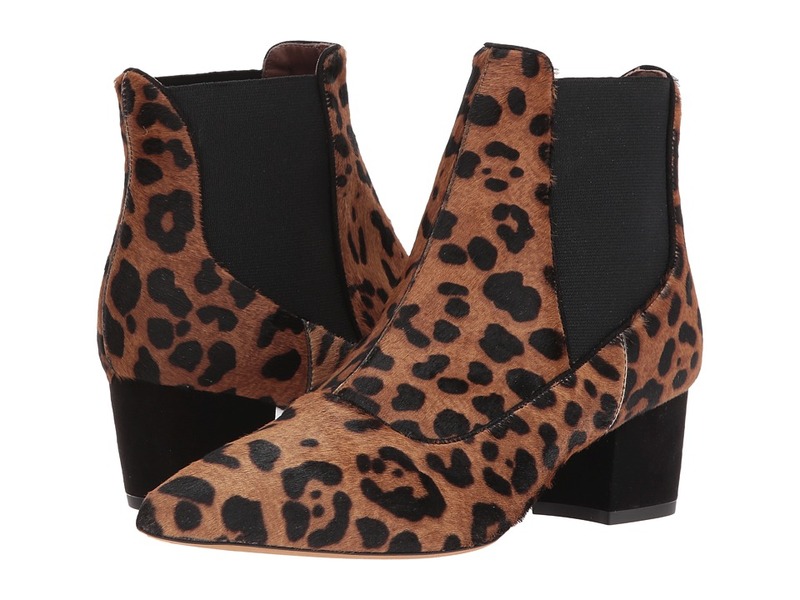 Stunning suede animal print upper. Elastic side goring for easy on-and-off. Pull-on construction. Pointed-toe silhouette accentuated with decorative toe-tap hardware. Smooth leather lining. Lightly padded leather insole. Wrapped chunky heel. Smooth yet durable leather outsole. Made in Italy. This item may ship with an attached security tag. Merchandise returned without the original security tag attached or a damaged tag may not qualify for a refund. Measurements: Heel Height: 1 1 2 in Weight: 10 oz Shaft: 5 1 2 in Platform Height: 1 4 in Product measurements were taken using size 38.5 (US Women~s 8.5), width B - Medium. Please note that measurements may vary by size. Weight of footwear is based on a single item, not a pair. 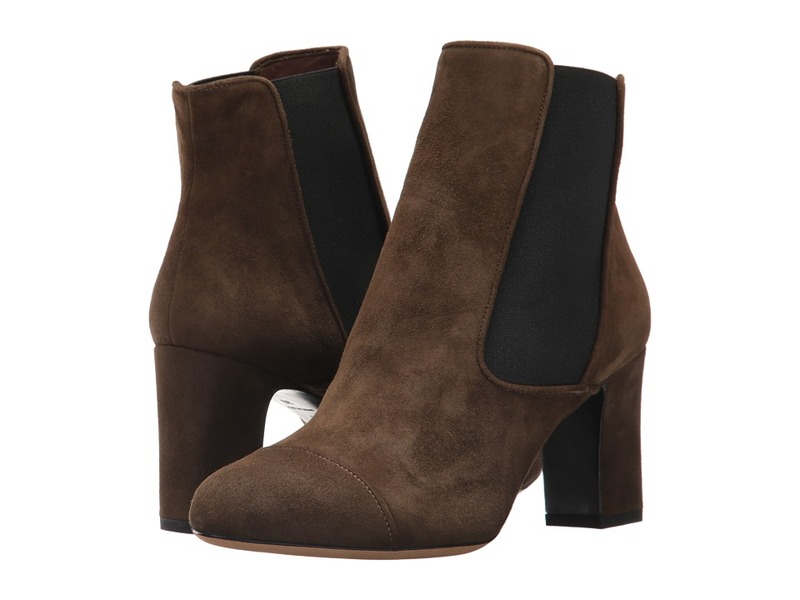 Keep it cutting edge and casual with the effortless look of the Kiki Boot from Tabitha Simmons. Rich leather and textile upper. Elastic side goring for easy on-and-off. Pull-on construction. Pointed-toe silhouette. Smooth leather and textile lining. Lightly padded leather insole. Wrapped chunky heel. Smooth yet durable leather outsole. Made in Italy. This item may ship with an attached security tag. Merchandise returned without the original security tag attached or a damaged tag may not qualify for a refund. Measurements: Heel Height: 3 in Weight: 10 oz Circumference: 9 1 2 in Shaft: 7 in Product measurements were taken using size 38.5 (US Women~s 8.5), width B - Medium. Please note that measurements may vary by size. Weight of footwear is based on a single item, not a pair.